Sebastian Vettel (6th) "I got happier with the car as qualifying progressed and we're in a solid position to start the race tomorrow. It's hard to beat the Mercedes and Williams from where we are, but this is Brazil and anything can happen; weather can play a big role, it was supposed to rain today and it didn't, but that's Interlagos for you." 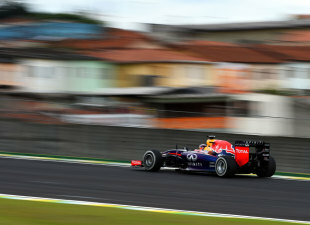 Daniel Ricciardo (9th): "The day was going alright up until qualifying and then we lost a lot of pace. I went out quite early in Q1 and there was a bit of stuff on the track, so I thought it would get better and better but we didn't find the pace we were after. I was surprised to get into Q3 after my lap in Q2. I felt better in Q3, but I was only a tenth or so faster; it's bit frustrating. We should have finished better than ninth, we hoped to be in the top five after the pace we had in practice, but hopefully the car will be better in the race." Christian Horner, team principal: "It was a totally Mercedes-dominated qualifying; I think sixth and ninth is representative of where are on this track. Daniel lost some pace from this morning and Sebastian found some pace; we're not up as far as we'd like to be. Hopefully, with a wet race tomorrow, we can have a stronger Sunday." Lewis Hamilton (2nd): "'m probably happier with second than I've ever been and I'm really pleased with the way we qualified as a team. It was so, so close out there and my lap wasn't perfect, so I know there's more time to find and where I can find it. I love being right on the limit, racing close and having a good battle - that's what Formula One is all about. Nico has been quick all weekend and I've been chasing and chasing - but what's important in my mind is that I've been improving with every session and I've found a good balance. Tomorrow is where the points are awarded and anything can happen at Interlagos as we've seen in the past. I'm looking forward to a good race and hopefully another strong result for the team." 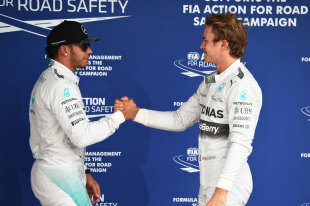 Nico Rosberg (1st): "I'm very happy with the weekend so far. The last run in qualifying was not my best but it was good enough to start from pole. And I'm pleased to start from the clean side of the grid, which should be a good thing for me. With the team I've reviewed why Austin didn't work out perfectly for me and we've done a race simulation already this morning with high fuel levels in the car, so I learned a few things that I can improve and am quite confident I can do a better job in this race. Of course, I need a bit of help from my team-mate to make the World Championship happen. But I'm still highly motivated and will continue to push as hard as I can all the way." Toto Wolff: "That was a classic Formula One qualifying session where everything came down to the final lap of the final session. Nico's pace is just incredible at the moment - like we saw on Saturday in Austin, too. Lewis has had the advantage recently in terms of race craft but there is nothing to choose between them on speed and it's a great achievement for Nico to claim the pole position trophy this year. They were both absolutely flat out this afternoon - they can take nothing for granted in each session and we were pushed hard by Williams, too. Both guys have a chance for the win tomorrow and I hope we will see another great battle between them on this fantastic circuit. Paddy Lowe: "Wow, that was tense today! It was a very close battle between Nico, Lewis and the two Williams cars and it wasn't until the final runs that we could see we had claimed the front row - and that Nico had taken his 10th pole position of the season. That brings him the inaugural pole position trophy, which is a significant achievement for him and the team. Lewis delivered a strong job but was pipped at the post by just 33 thousandths of a second - once again illustrating how close the battle really is between our two drivers. The weather was uncertain throughout the session. We have had rain predicted for the last few days but it has not materialised and that was true again today. However, the wind speed and direction were shifting throughout the session and those variations had a noticeable effect on the pace of the track during the hour. It was great to put on a good show for the Brazilian fans who love our sport. Congratulations to Felipe on claiming third position in front of his home crowd, too. The scene is now set for a great race tomorrow, with the continued uncertainty over the weather also thrown into the mix." Fernando Alonso (8th): "Today's result more or less reflects the way the whole weekend has gone, even if here, a tenth of a second can be the difference between fifth and tenth places. Both compounds worked very well, but I'm sure graining and degradation will give us a hard time tomorrow. It will be a long race and, apart from reliability, the key factor will be tyre management. As usual we will give it our all to finish in front of our competitors and score points in the constructors' hampionship." Kimi Raikkonen (10th): "This weekend, I've had a better feeling in the car and, in general, I've had no major problems while I also felt more comfortable with the front end. We lacked speed today and even though this was our quickest lap of the weekend, it was not enough to finish higher up the grid. Obviously, I'm a bit disappointed to be tenth and, without having done a race simulation yesterday, we are a bit in the dark like most teams. However, what counts is that finally I feel much more comfortable at the wheel, which means we are making progress." Pat Fry, chassis technical director: "Qualifying was very tight for us, as it was for Red Bull and McLaren, while yet again in Interlagos, Williams and Mercedes proved to have the best package. That was clear from Q2, when the gaps were very close from fifth to tenth places, with the six drivers split by just one tenth. Kimi and Fernando made no mistakes and, even with these grid positions, we will try and exploit any opportunity tomorrow. The weather forecast is still uncertain and usually it's difficult to predict here. It will be interesting to see how the tyres perform, given the little long run data we got yesterday because of the numerous red flags. Now we will work on preparing for any conditions, aware that apart from performance, reliability will also play a key role." Romain Grosjean (15th): "We knew this afternoon's qualifying would be very close and it looks like some teams found more pace today than we did which means we didn't quite make it through Q1. The team has done a lot of work on my car overnight and it felt a lot better this morning - it's not yet 100% where I want it to be, but it's going in the right direction. Everyone in the team is working hard and it's great to be part of it. For tomorrow, we'll do our best and we should be able to improve. The soft tyres don't seem to like the track too much, so managing them in the race will be an important consideration. After that we just have to push as much as possible on the mediums." Pastor Maldonado (18th): "It might not look like it from the lap time in qualifying, but I think we have a good car here, and certainly for the race. We were not able to put everything in the right place today and it's a bit disappointing for qualifying, but the race is where it matters. It's a very long race, and it's usually quite a challenging one. With the way our car has been performing during the practice sessions I think we can fight for the points. If it rains, I think we can still be competitive and starting from where we are on the grid, maybe rain is good for us!" Kevin Magnussen (7th): "This weekend has been a bit tricky - the Option tyre proved quite difficult to switch on over a single lap, which meant it was a bit strange that I couldn't improve on my time when I did my final run in Q3. It just didn't feel like the tyres were working on the first lap. That's a shame because it was very close out there. "If it's dry tomorrow, it looks like there'll be quite a few pit-stops, which could offer up more opportunities than usual for us to move forward. However, it also looks like it could maybe rain tomorrow, which will make it even more unpredictable, so we'll see what happens. Whatever happens, I think we can have a strong race - I'm looking forward to it." 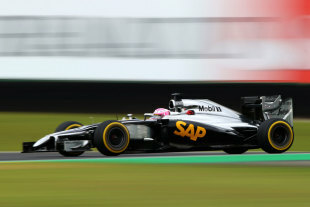 Jenson Button (5th): "Qualifying at Interlagos has traditionally been tough for me, so I'm happy to be starting fifth. After yesterday, I don't think we expected that - it didn't look possible. I didn't enjoy driving the car on Friday - the changes we made for practice compromised the balance - but we solved a lot of those issues overnight, and put the car back to how we'd had it before. "Now, I'm happy with what we have, and I enjoyed it out there. It was still tough - we had lots of front locking, and everyone seemed to struggle on their final run in Q3 for some reason. However, the first four cars look a little too quick for us. If we can stay fifth, though, or stay close to the cars in front, that would be a nice place to finish. If I'd got the best from the car, I might have been a tenth quicker, but that's still not close enough to the top four. Hopefully, tomorrow's weather will be a little bit mixed - that's the only way we can challenge the cars in front." Eric Boullier, racing director: "The predicted rain stayed away between 2.00pm and 3.00pm this afternoon, and, as a result, contrary to many pundits' prophecies, the qualifying form book wasn't toppled after all. In fact, it was incredibly close out there. The gap between P5 and P10 was just one sixth of a second [0.169s], and Jenson and Kevin qualified at the front end of that gaggle, their lap-times separated by just one twenty-sixth of a second [0.039s]. They both did a very good job - and so did our engineers, who worked hard overnight to optimise our cars' set-ups so as to improve their straightline speed, which had been disappointing yesterday. "Tomorrow, a wet race isn't currently forecast, but the micro-climate here at Interlagos is notoriously fickle, so anything is possible. Whatever, rain or shine, both Jenson and Kevin are well placed to score a decent number of championship points, thereby consolidating our fifth place in the constructors' championship, and keeping us within mathematical striking distance of Ferrari, who currently lie fourth." Nico Hulkenberg (12th): "It was a pretty straightforward day and actually the whole weekend has been smooth on my side of the garage. It's just that we haven't been as competitive as we would like and for various reasons the car is not in complete harmony with this track. It's been quite difficult to find a rhythm and be consistent - so from that perspective P12 is probably the most that was possible today. Tomorrow I think we can challenge for points and maybe the weather will mix things up." Sergio Perez (17th): "It hasn't been an easy weekend for us and we knew today would be a struggle because of the lack of running on Friday. So our focus has always been on the race and I think we made quite a lot of progress in final practice by concentrating on long runs rather than qualifying preparation. The race here at Interlagos is always quite unpredictable so I still believe we can have a good result tomorrow and leave here with some points." Vijay Mallya, team principal: "Today's qualifying session saw very different situations for our drivers as a result of previous events. Nico produced a very good lap and he probably extracted nearly all the potential of the car. His position, and the long run pace he showed yesterday, mean he is well placed to fight for points tomorrow. In Checo's case, it was a matter of prioritising his race preparation, especially in the light of his grid penalty and the problems that side-lined him yesterday. So our decision was to concentrate on maximising his chances of making up the positions on Sunday. He has a tough challenge ahead of him, but if he makes the most of the opportunities that arise, he could still leave with some points. Brazil always produces unpredictable races and, should that be the case, we will need to be ready." Esteban Gutiérrez (11th): "Eleventh in qualifying is a satisfying result for the team and also for me. Because of some technical issues I lost a lot of track time yesterday, but the team did a great job last night building up the car for today. I managed to put in some good laps, so we will have a great opportunity in the race tomorrow. I will fight from the beginning to the end of the race to get the points we deserve." Adrian Sutil (13th) "Qualifying was not easy today. At least we made it into Q2, and I think 13th is a good starting position. We are looking forward to the race tomorrow, in which I can hopefully move up closer to the front. 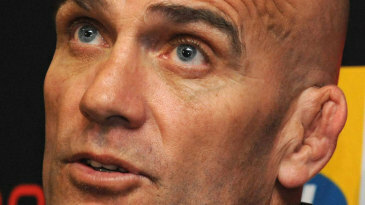 The objective is still to get the first points." Monisha Kaltenborn, Team Principal: With this qualifying result we can be satisfied. Esteban particularly put in a strong performance. We are going into the race from P11 and P13, which is a promising starting point. Because of this, we hope to be able to score points." Giampaolo Dall'Ara, head of track engineering: "First of all I want to praise Esteban who did a very good job today after an extremely difficult Friday. 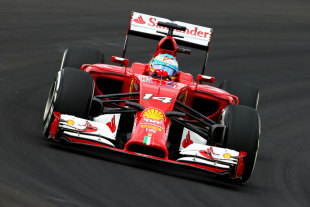 He was able to find a good balance for the car and then performed nicely in qualifying. He got to P11 based on his performance, which is a very good result. With Adrian in P13 we are in a position from which we can build tomorrow. Beating Lotus, Toro Rosso and Force India is a good achievement. Starting from these positions, we will try to fight for points, knowing that this will not be easy. A lot could obviously depend on the weather." Jean-Eric Vergne (16th): "Not having completed a lot of mileage in preparation for today's qualifying session, I couldn't get the best out of the car, which was very difficult to drive today. This is not an easy track and there are a few corners in which you really lose a lot of time if you do not have the right balance. If you consider the lack of mileage and the fact that we've struggled with the tyres for the whole weekend, we just didn't manage to set up the car to my liking. But of course, the race is tomorrow and everything can happen, especially here. I'll do my best!" Daniil Kvyat (14th, will start from back of the grid for engine penalty): "Tomorrow I will start from the back of the grid because of the penalty we got at the United States Grand Prix, but in Monza and Austin we proved that we can fight for points even in difficult starting situations. I did a good lap in Q1 but, considering the grid penalty, we decided not to go out during Q2, even if I think I could have definitively fought for Q3. Sometimes there are difficult decisions to make but that's also part of racing. Everything can happen during the race and I'm confident that we still have a chance to fight for points tomorrow." Phil Charles, chief race engineer: "Not an easy day today for us. Daniil had a 7 place penalty, which we knew about already, so we had a decision to make: to run for Q2 trying to go into Q3, knowing that we would have been dropped back anyway, effectively using another set of tyres - considering his good performance today, or just save tyres for tomorrow. He drove very well in Q1, so to keep him in the garage was not an easy decision to take. We are very pleased with his performance and without a penalty he could have had a great day today. For Jev it's a different story. He didn't run in FP1, we had a technical problem in FP2 so he started the day facing an uphill battle. He is not particularly pleased with the car, but hopefully we will make the right decisions for tomorrow and look after the tyres, as tyre management will be a key point in the race." Valtteri Bottas (4th): "The car has been improving throughout the weekend as the track has rubbered in and we were looking very competitive today, and were quite close to the Mercedes cars. I had a few mistakes in Q3 so I probably left a tenth out there which can make a lot of difference because the lap is so short, but on the whole I'm starting in a good position and we need to be happy with another second row lockout. 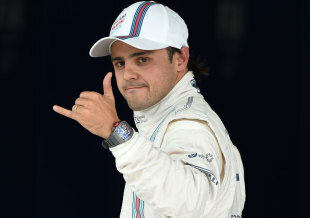 I'm also happy for Felipe to be starting third at his home race and he had a great reaction from the crowd. The weather is likely to be wet tomorrow so we need to make sure as a team that we get the strategy right and give ourselves the best possible chance to finish on the podium." Felipe Massa (3rd): "It was a great qualifying for me today and the reaction and energy from the fans was very special and emotional for me. This track has a special place in my heart as I was born here in São Paulo and I always get a lot of support. The car has been feeling really good all weekend and although the Mercedes cars still had more raw pace than us, the gap seems to have closed. There will be a lot of variables tomorrow, especially with the weather which always changes quickly here, so we need to prepare well for that tonight. I'm going into the race in a very good position and with less pressure than the guys in front so my goal is to finish on the podium and celebrate with my home fans." Rob Smedley, Head of Vehicle Performance: "A really good qualifying session for us with a great job by both drivers and car crews. It's a little disappointing not to get the final run in for both drivers in Q3 - Felipe due to traffic and Valtteri after he went wide at Turn 4. We may have been able to move up a bit but we need to be satisfied as we're in a good position for tomorrow and the car has been performing very well since it hit the track for the first time on Friday. The race is likely to be very unpredictable, with the weather conditions playing a factor as rain is likely. We therefore need to make sure we do everything correct. The objective has not changed; we want to finish third in the Championship and tomorrow is a chance to further solidify our position." Paul Hembery, motorsport director: "We had cooler conditions today, which suited our nominated tyres better than the unusually hot track temperatures that we saw yesterday. Qualifying was an extremely tight battle, with the threat of rain providing an extra edge, but that threat if anything will intensify tomorrow. Obviously this will have a big effect on the strategy, but if it stays dry the quickest theoretical strategy is a three-stopper, although we would expect most teams to try a two-stopper in order to avoid getting caught up in traffic. After an interrupted day yesterday all the teams managed to collect more data today, with the top two qualifiers separated by just three-hundredths of a second. We've seen the fastest-ever pole lap of Interlagos today, which underlines the way that the cars and the tyres have developed over the last 10 years." After Wayne Rooney took just two minutes and 15 seconds to break the deadlock against West Brom on New Year's Day, ESPNsoccernet looks at some of the fastest goals in history.